Are You Looking For Plumbing Services and Repairs in San Diego? All of the best plumbers in the business are employed at All American Plumbing, San Diego! At All American Plumbing we believe that when we have the most qualified employees working for us, we can provide the highest quality service to our clients. To be part of the All American Plumbing San Diego team, our employees must meet a very specific criteria of qualifications, they must be highly trained, safety certified and dedicated to providing Honest, Reliable, high quality service to our customers. 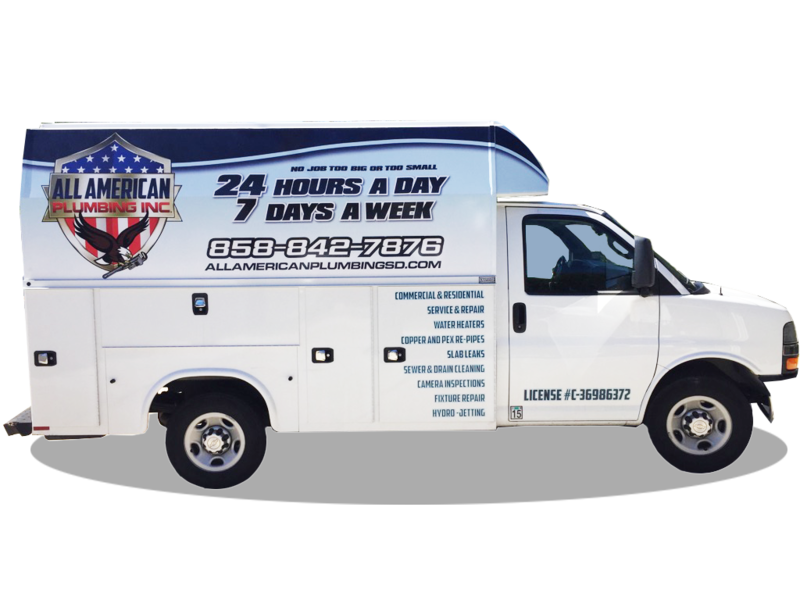 All American Plumbing is well known throughout San Diego for providing high quality work and for being one of the top trade employers in the city. We do not charge additional fees on the weekends. We offer 24hr emergency services. Whether it is a large leak, flooding in your home, or a botched gas line, we will make you our number 1 priority. We are always on call to take care of your plumbing needs.